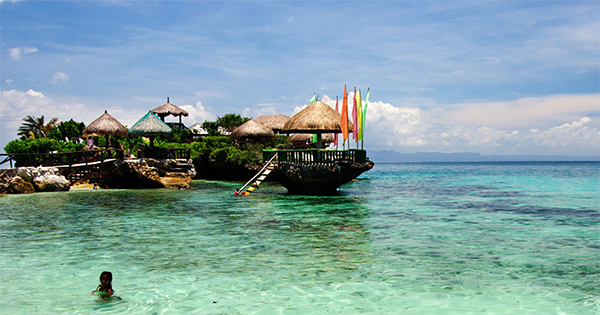 Very close to Cebu Island in the Philippines, which was named one of the best island destinations by Conde Nast Traveler Magazine, your heart will skip a beat as you behold the Camotes Islands which consist of four islands and municipalities. This beautiful group of islands are situated to the east of Cebu Island, southwest of Leyte Island and on the north of Bohol Island. You will love, love, love the powdery white sand in the picturesque islands of Pacijan, Ponson, Poro and Tulang. better known as The Lost Horizon in the South for their unspoiled charm and splendor. In addition to that, you can swim to your heart's content as well as sunbathe all day long over at Santiago Bay and Mangodlong -- where crystal clear water, fabulous restaurants and commendable resorts await every nature-loving along with fun seeking travelers. Also known as Lover's Lake, Lake Danao is one of the most breathtaking spots in Camotes Island. Avail of the cruise and other activities provided by Lake Danao Park to get the amazing opportunity to ride a boat and enjoy the scenic view, have picture-taking in a small islet, or have a picnic as you feel the cool breeze there in the midst of the serene chirping of birds all around. Truly a well-deserved peaceful break to remember for a lifetime! If you are in for some spelunking then head towards Timubo Cave Resort, which occupies Barangay Sonog Town, Camotes Islands, Cebu Province. Not for the faint hearted though, one needs to go down a winding staircase to have the chance to explore Timubo Cave and swim into its cool and clear water. There is just a very small donation fee to be paid at the entrance of this interesting and enchanting cave -- indeed one for an unforgettable adventure which will tickle your fancy beyond measure. If you visit Camotes Islands in January, you can get the wonderful opportunity to celebrate Tagbo Festival with the locals there, which commemorates the founding of Poro Town via a role playing that shows how two fighting tribes reconciled. Moreover, should you be there on the third Sunday of March, you can witness San Fransisco Town's special tribute to the soli-soli plant, their source of income, in an event called Soli-Soli Festival.